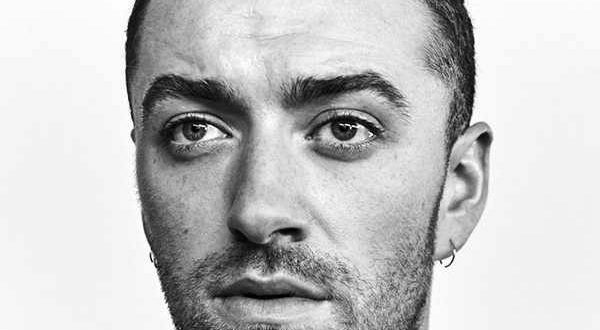 The Thrill Of It All is Sam Smith at his best, most vulnerable and the most listenable he has ever been, mixing Smith’s beautiful approach to lyrics and producing music with a more modern, upbeat approach than his previous musical attempts.Smith has become a national icon with just two albums and a handful of EPs to his name. He has landed himself a James Bond soundtrack, an Academy Award, three Brit awards, a BET and three Billboard Music awards, along with a whole host of nominations and accolades. Following on from the success of his debut album In The Lonely Hour, Smith’s latest album is just a brilliant listen and so well orchestrated and produced. The opening track Too Good At Goodbyes is the chart-topper Smith used to promote the release of the new album, and for good reason. We as a nation love the song, we love Smith and it’s a great opener for what’s to come. One Last Song is Smith tackling Motown with a pinch of theatrical soul. Upbeat and romantic, it’s an easy and enjoyable listen. Midnight Train switches the tempo to a lovingly slow-track which allows us to appreciate his words, the music and the message, ‘I’ll always love you but tonight’s the night I chose to walk away,’ is something we can all relate to, and it’s these messages that we all connect with. Burning is by far the best song on the 10-track album. Opening a cappella, Smith’s voice is soon subtly backed by delicate piano, letting his lyrical expertise shine. The heartbreaking piano ballad tells Smith’s story of a break up, the pressures and responsibility fame brings, being on self-destruct mode after the break up – and it’s definitely Smith’s most personal song ever. For that reason alone, it just pulls all the heartstrings and will be a future classic. There’s not one bad song on The Thrill Of It All – even those that are not as great have their strong points. Him sounds like Smith wrote his feelings out on a page and sang them. It’s an incredibly raw and emotional offering that crescendos to a powerful and soulful moment, but unfortunately it falls flat compared to the rest of the album. You would not be wrong for saying that Baby You Make Me Crazy channels the late, great Amy Winehouse. It’s jazzy, high-pitched and, again, powerful in the way it almost sounds like a fight song from Smith. It’s the one destined to garner quite a lot of attention for him, and should be a strong charts’ contender. No Peace is the only song to feature another artist. Smith and Yebba, the girl who Ed Sheeran co-signed, have a perfect harmony on this track. The song is this year’s take on what P!INK and Fun’s Nate Ruess did so well on Just Give Me A Reason, that perfect balance of contrasting and complimenting vocals that is sure to lead to a hit song. The album finishes strong on Pray, another soulful and, this time, slightly more upbeat but still emotional offering from Smith. The gospel backing group, violins and simplistic drum and piano beat gives Smith the perfect platform to shine, and it is a great way to finish a genuinely good offering from him. We’ve been waiting almost three years for Smith to give us something new, and instead of changing up the sound, he simply perfects it on his new album. The Thrill Of It All releases worldwide November 3.